Ipanema is renowned for its avant-garde galleries, excellent restaurants and upscale shops. Fantastic stay! 2 blocks from the beach and food everywhere. Also, you can get some great views of the starts and the mountains from the roof. Anthony was great. 24 hour, gated security as well. 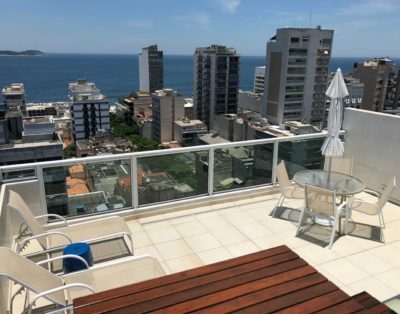 This is an apartment for lovers of Ipanema, people who love to take a nap under the stars, take a breakfast seeing the beach and mountains, enjoy the sun and wind of the sea. It has a privileged location, close to the beach and to the center of Ipanema, you can also walk to Copacabana if you want, drink some beers down at some excellent pubs close to the avenue. The attention of the host and building workers is like a 5 stars hotel. Definitely your best choice to stay in Rio!!! Angel S. The center of Ipanema! The penthouse apartment is fantastic and exactly as advertised. The views of Rio/Ipanema from the terrace rival the hikes themselves. We had breakfast and drinks up there for much longer than planned every day. Anthony as a host is a pro. Great communication, flexibility, and very helpful during the trip. We’ve stayed in many places all over and this was our best experience yet. This place is just what I needed. It’s located right in the heart of Ipanema! It’s only two blocks from the beach. There’s a grocery store conveniently located across the street and there are throngs of shops and restaurants located within minutes of his apartment. I loved waking up to the breathtaking views of the ocean and the surrounding hills. It’s beautiful! I will definitely be staying here again on my next visit to Rio. Michael Maciel I will definitely be staying here again! This apartment was such a great place! Was good to get sun out on the roof top and to watch the stars at night. Nice open kitchen/living area and Anthony was so great and fast with his responses and help! Definitely will be back!! Very nice stay in this wonderful flat !! Thanks again My Rio Apartment!! Wonderful host and a great place! 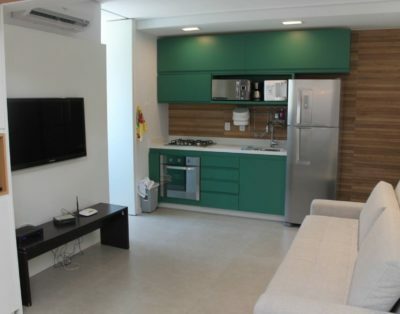 Located in a safe area, close to the beach and right in the middle of all the Ipanema excitement. Anthony's flat is perfectly located and the roof terrace is a fantastic bonus. Awesome Location in Ipanema. Easy walk to the beach and excellent restaurants and bars. Safe neighborhood and secure building and you can buy groceries across the street. John P. Awesome Location in Ipanema! Anthony was an excellent host, very communicative and showed us around the apartment. Anthony also went out of his way to help us with our next flights! Made our first trip to Rio smooth and fun. Vijay T. Thank you My Rio Apartment! 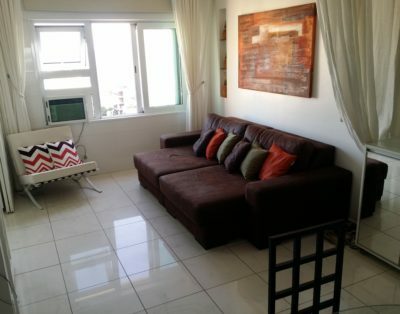 The apartment is nicely located in the heart of Ipanema near everything. IOt was amazing. Very clean, tidy and comfortable. The views of the ocean from the balcony were spectacular. There is not one corner of the apt that does not allow you to appreciate the views. The apt was also surprisingly quiet from street noise and I loved the black out curtain in the bedroom. Up on the terrace, the views were even more amazing. Was so nice to be able to lay out in the sun. The spiral staircase can be a bit tricky to climb with luggage but Anthony helped us with that. Anthony was a great host, very attentive and helpful with my questions. Lisa M. Loved the location!